Take your career to another level. 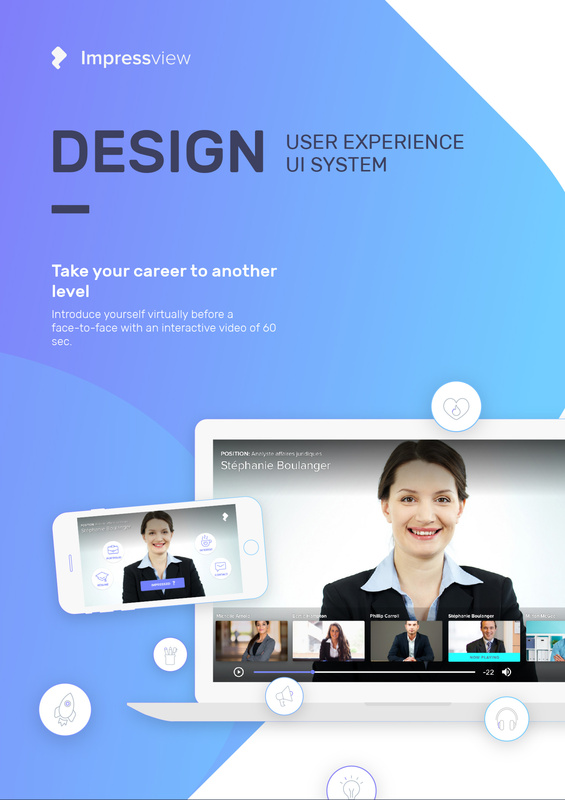 UX and UI system design. 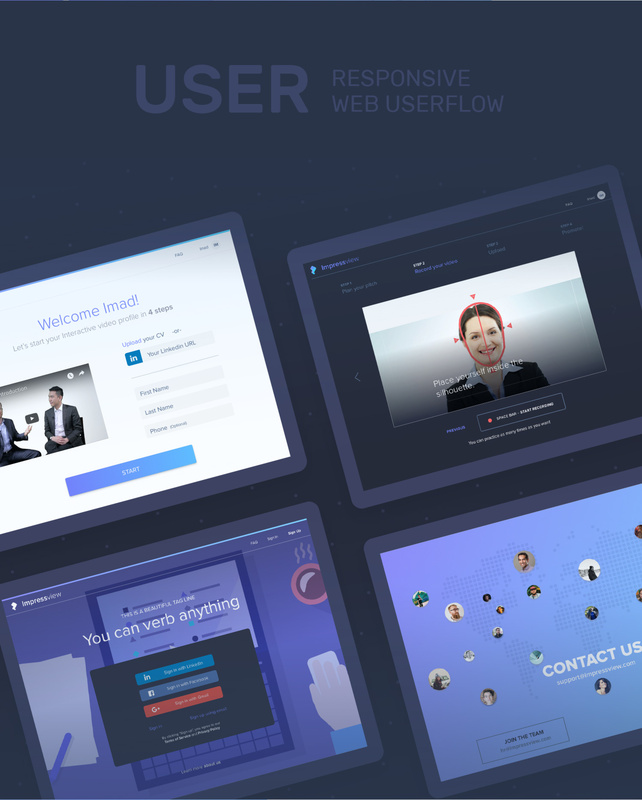 Introduce yourself virtually before a face-to-face with an interactive video of 60 sec. Design several online solutions: to manage and follow project leads. Request forms, analytics interfaces, and simulations. Map and layout all the different user-flows needed. Document the solution giving the developer team flexibility and autonomy to interpret and apply the design for future functions. 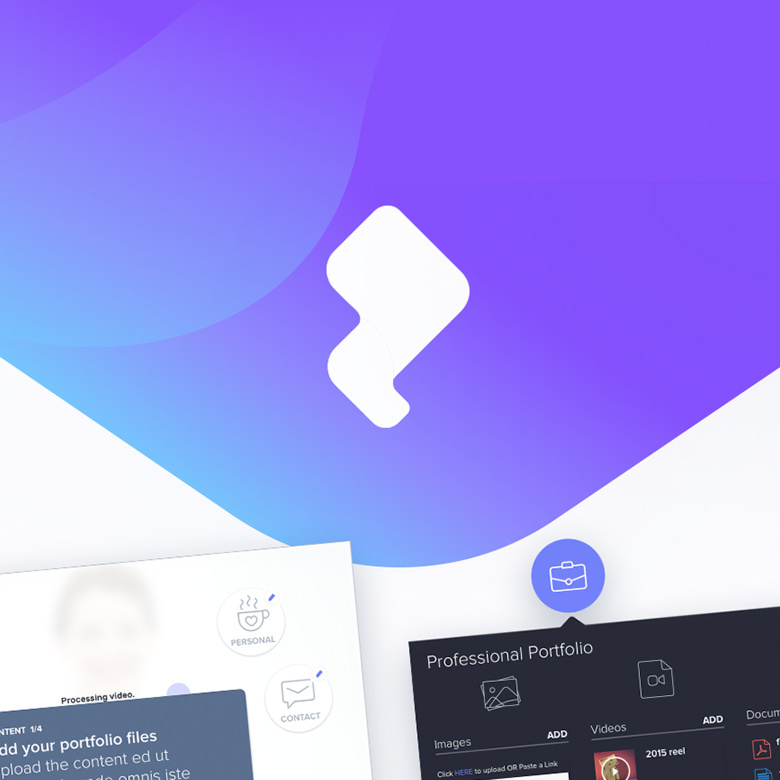 Concept and create every single element, interaction, animations and micro interaction needed for the WebApp end to end. 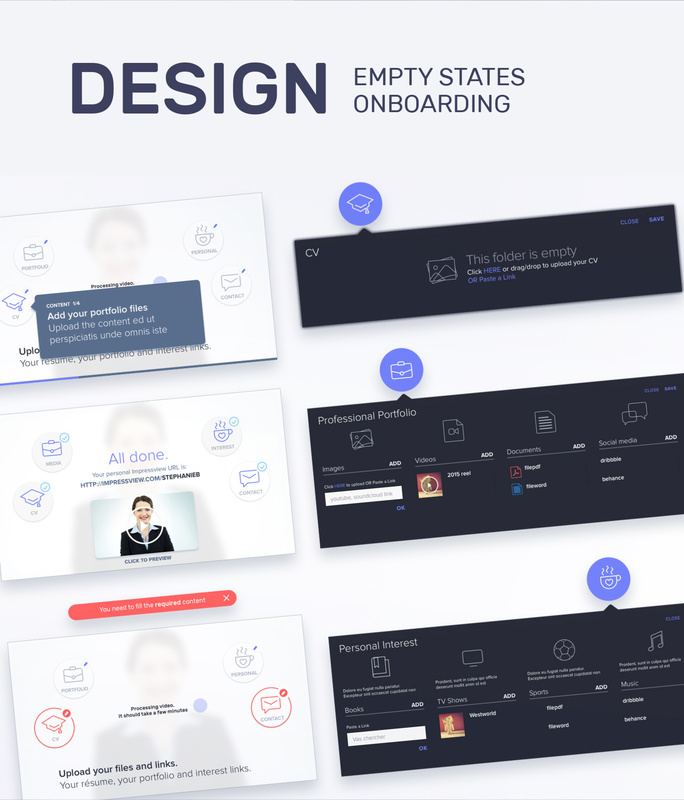 Sign-ups, Sign-in, onboarding, empty states, feedback elements (warning, errors, alert) in short every single element was created as an element of the design system. Definition of colors, typography, font sizes, buttons, with clear indications for when and how to use them. Only by giving a fast look the user will understand in what context and on which application the user is located. 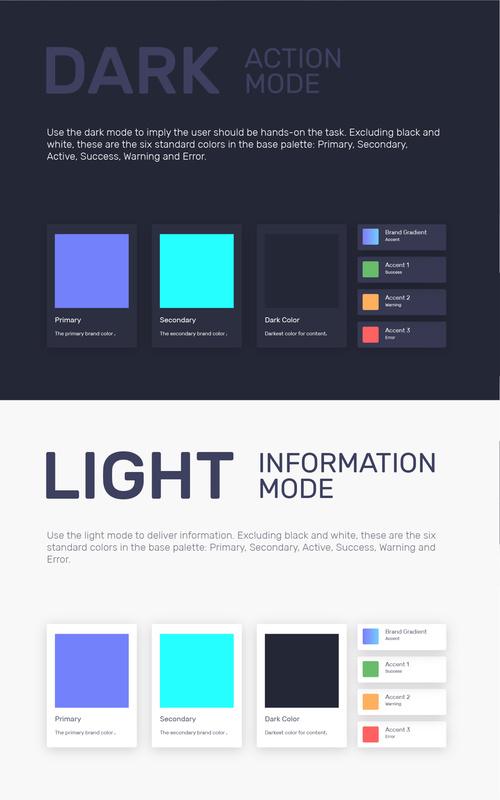 We used different color schemes to alert by context the purpose of the current interface, bright, dark and colorful schemes have each one a different meaning. Use the dark mode to imply the user should be hands-on the task. Excluding black and white, these are the six standard colors in the base palette: Primary, Secondary, Active, Success, Warning, and Error. Use the light mode to deliver information. Excluding black and white, these are the six standard colors in the base palette: Primary, Secondary, Active, Success, Warning, and Error.